To read all articles, please access http://www.starferrymusings.com/If you wish to discontinue receiving SFM articles, please drop me a line. 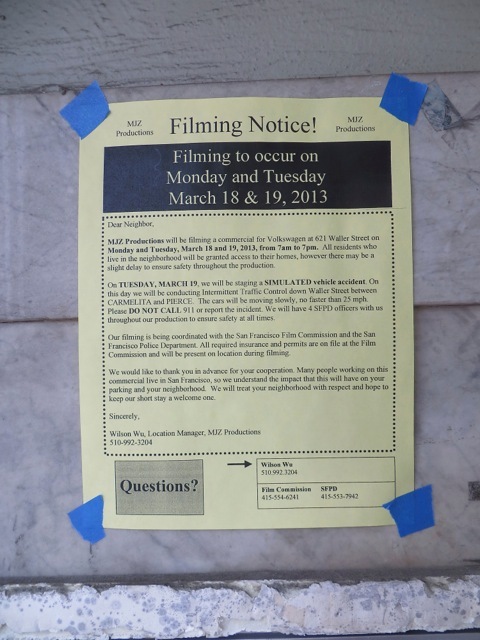 A notice was posted on our building informing us that a filming would take place on our street. We wondered what it was about. On the morning of the filming, our street was blocked off by policemen who diverted traffic away. 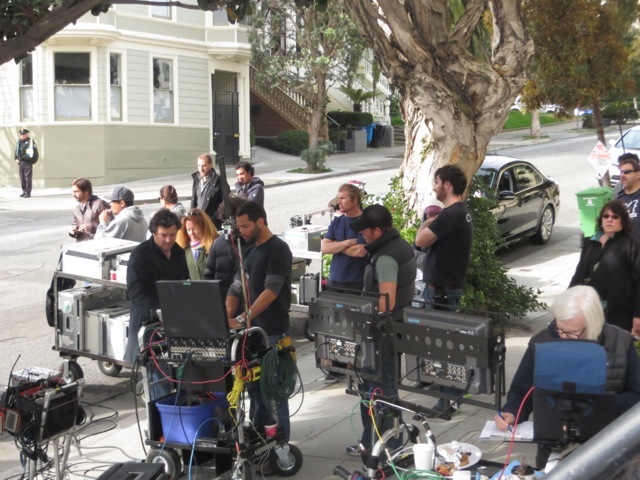 The city was paid by the filming company for these services. 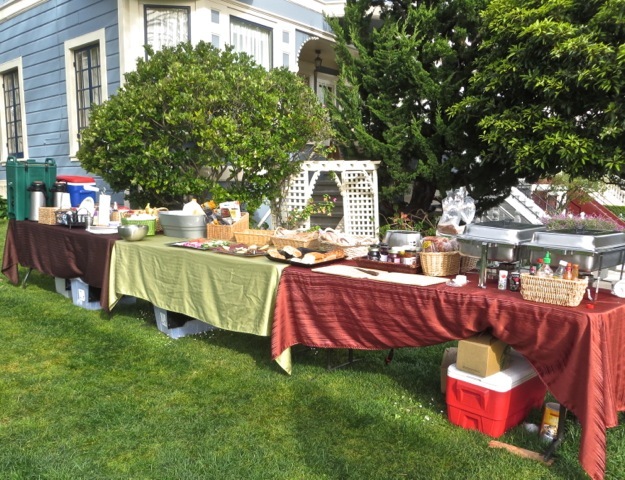 The filming company set up a table of breakfast food for the film crew. 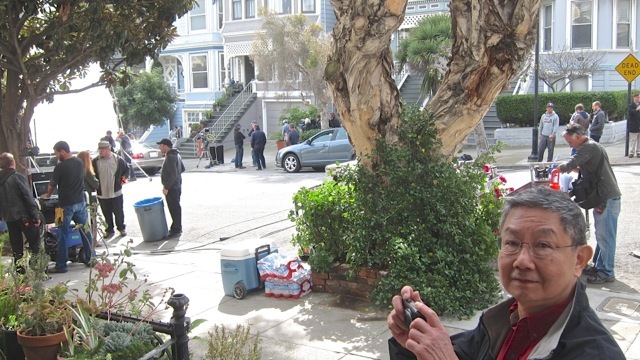 I was curious and joined the neighbors to watch the filming activities. 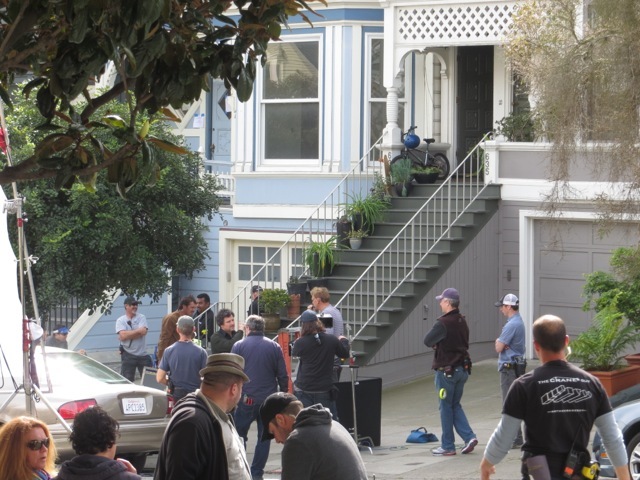 About 100 members of the filming crew worked feverishly in front of our building, and about the same number of neighbors watched them work. We were surprised how many people were needed to film a scene. They had elaborate system of cameras, microphones, computers, reflectors and other equipment. Wires were strung from unit to unit. Every detail was taken care of. Everybody had a role to play in the operation, and seemed to know exact what to do. 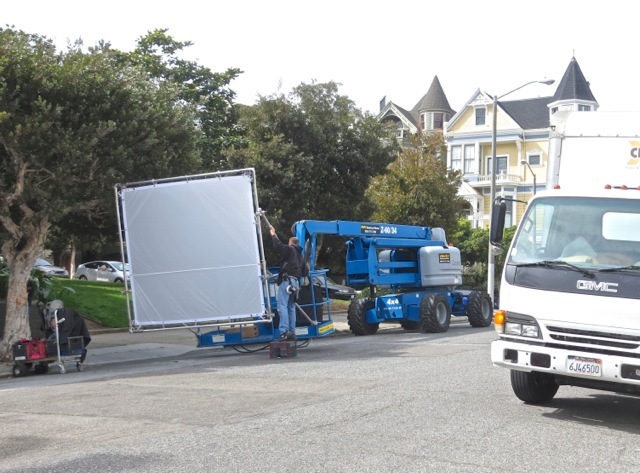 An elevated work platform machine was used to position a reflector screen. 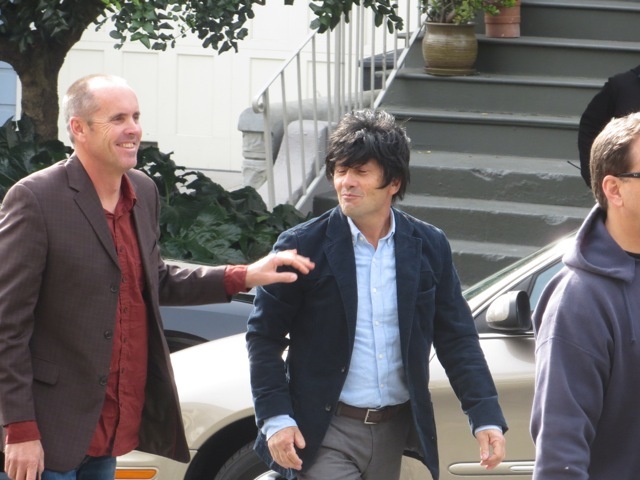 I found out the filming was for a Volkswagen advertisement. The story line shows a family having breakfast at home, then the husband leaves for work in his Volkswagen Passat. As he backs out of his driveway, another car comes down the street and hits it violently. But the Passat is so well built the husband is not hurt and the family lives happily ever after. 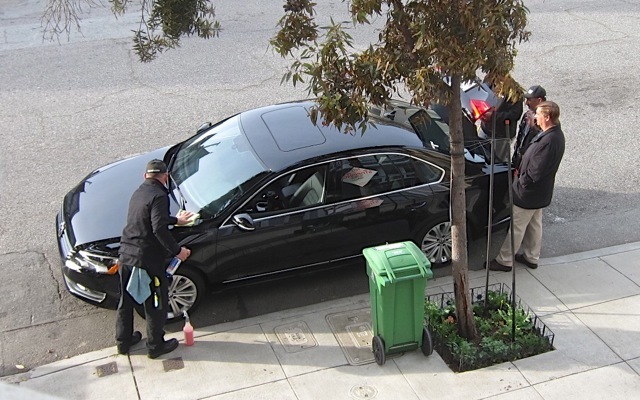 Three Passat were available for filming the crash scene. Before they were sacrificed, they were carefully polished as gladiators would be groomed before their duels. The house shown in the ad was decorated with potted plants and a bicycle. This looks like a house fit to be lived in happily ever after. The two stunt drivers were ready for their acts. 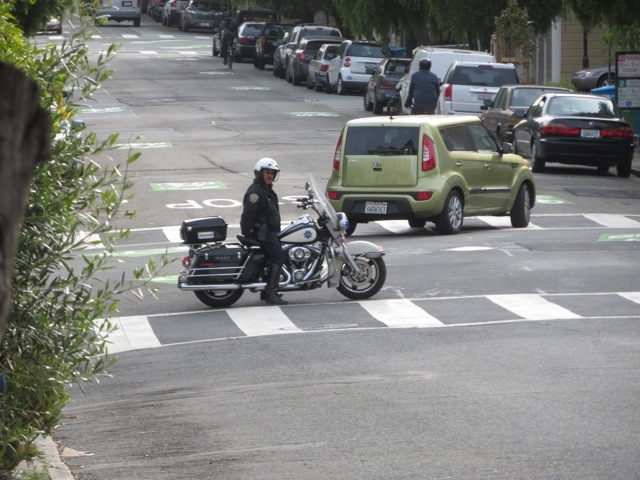 After the direcor shouted “action”, the tan colored car barreled down the street and hit the Passat at about 30 miles/hour. I recorded the crash scene with my digital camera’s slow motion video function. I can’t wait to see this ad on TV. Posted by admin on Wednesday, March 20, 2013, at 3:23 pm. Filed under Uncategorized. Follow any responses to this post with its comments RSS feed. You can post a comment or trackback from your blog.